OTTAWA, ON – Canadian lumber producers appeared before the House of Commons Standing Committee on International Trade in Ottawa to voice their support for the Canadian Government’s continued efforts to reach a new softwood lumber agreement that is fair and acceptable to the industry in both Canada and the U.S. The Canadian Lumber Trade Alliance (CLTA) was formed in 2001 to work with the federal and provincial governments to help defend Canadian softwood producers on trade matters with the U.S. Today, the CLTA represents 70 per cent of the softwood lumber capacity in Canada that is exported to the U.S. market. The CLTA membership includes independent lumber producers in B.C., Alberta, Saskatchewan, Manitoba, Ontario and Quebec. VANCOUVER – A disastrous wildfire raging in northern Alberta has forced government leaders in western Canada to tweak their plans to meet in Vancouver later this week and has pushed emergency management towards the front of the meeting’s agenda. 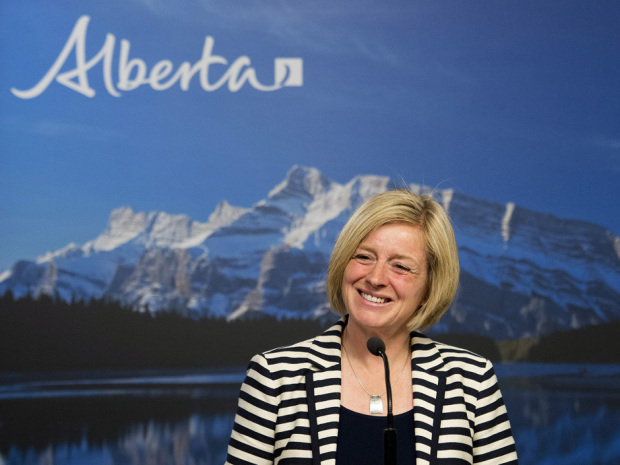 Alberta Premier Rachel Notley will no longer attend the 2016 Western Premiers’ Conference, which is scheduled to run Thursday and Friday. Deputy Premier Sarah Hoffman, who also serves as the province’s health minister, will replace Notley as Alberta’s representative. British Columbia Premier Christy Clark, who is hosting the annual gathering, said emergency management will be at the forefront of the discussions as the blaze in Fort McMurray, Alta., forces tens of thousands to flee the encroaching flames. MONTREAL – MONTREAL _ Resolute Forest Products Inc. (RFP) on Thursday reported a loss of $8 million in its first quarter. The Montreal-based company said it had a loss of 9 cents per share. Losses, adjusted for non-recurring gains, came to 20 cents per share. The maker of paper and wood products posted revenue of $877 million in the period. Resolute Forest Products shares have decreased 29 per cent since the beginning of the year. The stock has dropped 65 per cent in the last 12 months. Innately, innovators are risk takers and while sometimes there is glory in being the first, there is always a story behind what it took to get there. 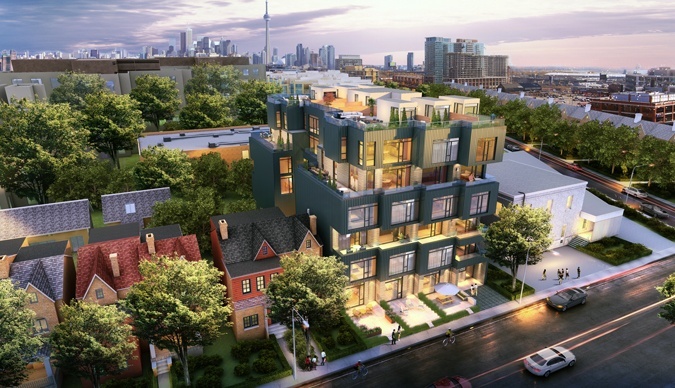 “I talked the talk for years and now I am very happy to be able to walk the walk,” said Leith Moore, a Past Chair of BILD and Vice President of Fieldgate Urban, of his newly-launched project, Heartwood the Beach. The project is one of the contenders to be the first six-storey wood residential building constructed in the GTA. Six-storey wood was a priority for Moore when he was Chair of BILD and later when he was OHBA President. He bought the site at Queen Street East and Woodbine Avenue in January 2015 with the intention of constructing a six-storey wood building. The East Reservoir timber project moved one step closer to completion April 19, when United States District Judge Dana Christensen heard oral arguments on motions for summary judgment from both parties and supporting intervenors. The timber project is being challenged by Alliance for the Wild Rockies, and names the United States Forest Service, the United States Deparment of Agriculture, Kootenai National Forest Supervisor Christopher Savage and Faye Krueger, Region One Forester of the U.S. Forest Service. Lincoln County and the Kootenai Forest Stakeholders Coalition have filed as defendant-intervenors in support of the project. A large group of protesters blocked an access road leading to a salvage logging operation in the Westside Fire Recovery Project area on Monday following a judge’s order denying a temporary restraining order against the logging. Holding signs reading “Karuk land Karuk plan,”?the protesters called attention to the Karuk Tribe’s proposed alternative to the course of action chosen to recover Siskiyou County areas hit by severe wildfire in 2014. The tribe, along with various environmental groups, sued the National Marine Fisheries Service in early 2016 for its decision to issue a biological opinion giving the OK?to the WFRP. EDMONTON – A fire whipped by unpredictable winds and fuelled by a tinder-dry forest forced the evacuation of the entire city of Fort McMurray on Tuesday. Here are three other fires that forced tens of thousands to flee their homes. July 2015: Forest fires push about 7,000 people out of their homes in the northern Saskatchewan …May 2011: More than 10,000 people are forced to flee a wildfire that destroys one-third of Slave Lake, Alta. 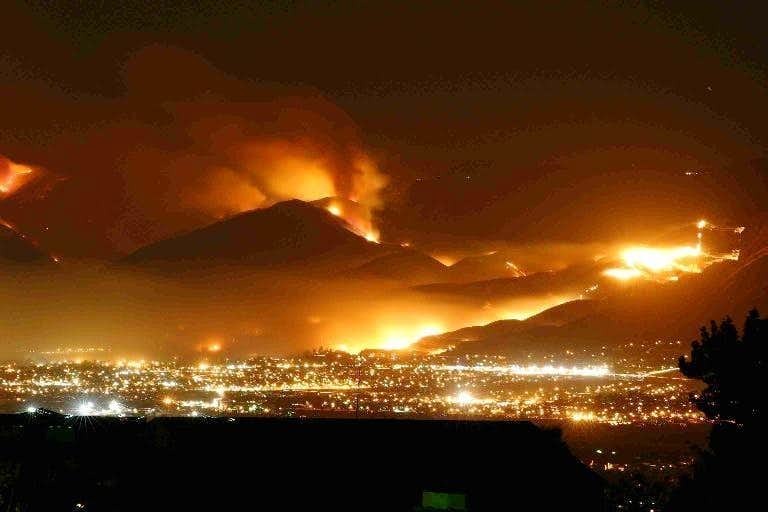 …August 2003: A blaze that begins in Okanagan Mountain Provincial Park in British Columbia morphs into a firestorm in windy, dry conditions. Humans are the leading cause of wildfires in Canada, says a forest fire researcher who believes the latest blaze that has ripped through parts of Fort McMurray, Alta., is no exception. 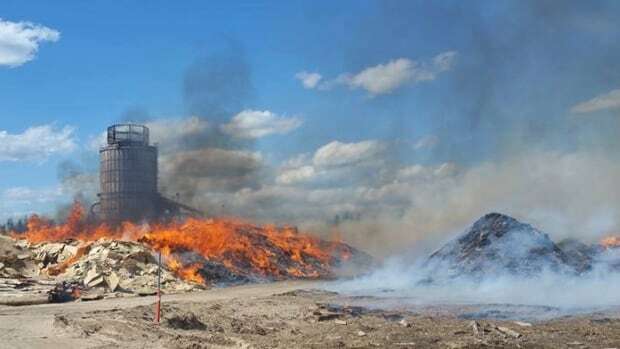 Mike Flanagan, a professor of wildland fires at the University of Alberta, says the fire’s proximity to the city, as well as data that shows there were no lightning strikes in the area, lead him to believe the cause of the fire was likely human. “And in spring it’s heavily loaded on the side of people-caused fires,” Flanagan said. An average of 1,200 wildfires are reported in Alberta each year, and half of those fires are caused by humans, according to the National Fire Database. Lightning is the second-leading cause with 47 per cent. The Alberta Government has declared a state of emergency Wednesday as the wildfire in Fort McMurray continues to burn. The wildfire, which experts believe may have been human caused due to its proximity to the city of Fort McMurray, has caused the mandatory evacuation order remains of approximately 80,000 people. More than 250 firefighters as well as helicopters and air tankers are currently fighting this wildfire. 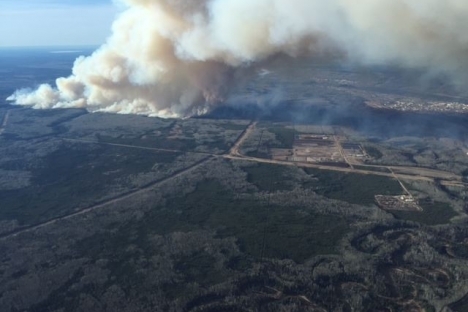 The Regional Municipality of Wood Buffalo and the Athabasca Chipewyan First Nation have both declared a State of Local Emergency. Alberta Transportation is escorting a fuel tanker along Highway 63 to assist stranded motorists evacuating the city. When a fire ripped through the town of Slave Lake five years ago, wildfire officials recognized that the catastrophic blaze may be “the forerunner of future fire seasons” in Alberta, a template for the kind of disaster now playing out in Fort McMurray. 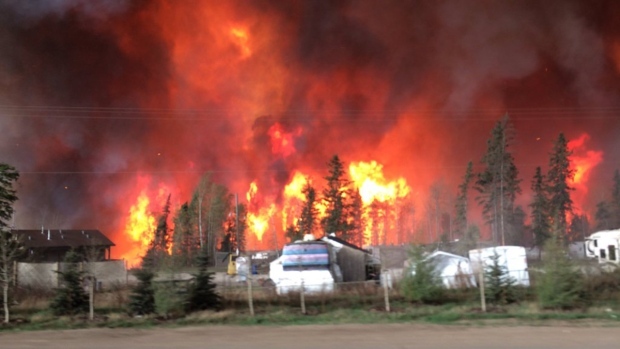 “I think Slave Lake was a wake-up call,” said Alberta wildland fire expert Mike Flannigan. “People were aware that this can happen, and hopefully people were aware that it was not a one-off and it could happen again.” A report released after the Slave Lake fire of May, 2011, made 21 recommendations geared at preventing, mitigating and responding to similar wildfires in the future. Dr. Flannigan said he believes the Alberta government has been sincere in its efforts to institute the recommendations in the Flat Top Complex wildfire report, but he declined to comment on whether enough has been done to address the risk of catastrophic wildfire in the five years since the Slave Lake blaze. Evacuation ordered south of High Level, Alta. An area south of High Level, Alta., is under an evacuation order as a fire at a forest product mill rages out of control. Rural residents in an area five kilometres south of High Level between the Bushe Reserve and Highway 35 are being asked to evacuate immediately and go to the reception centre located at the Town of High Level office to register and receive further instruction. …The fire is at the Norbord yard. Norbord is an international company with a plant in High Level that manufactures Oriented Strand Board.